SM North head coach Ben Barlett. 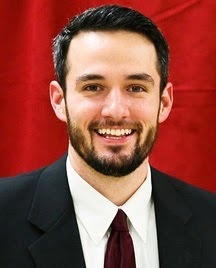 On Friday night the SM North administration officially named Ben Bartlett the head coach of the football program. Bartlett was given the school's interim head coaching title in July, when former head coach Don Simmons abruptly left the program for another job in Arkansas. In his one year as the interim head coach, Bartlett led the Indians to a 2-8 record, and a playoff berth. He also helped the program snap a losing streak that dated back to 2011. Bartlett served as an assistant coach for SM North from 2007 to 2013, under three different head coaching regimes. Bartlett played football at SM North, and graduated in 1998. He's in his ninth year of teaching at the school, and he's spent 11 years as a teacher at the high school level. Congrats on being named the Head Coach Ben, and 15th All-Time of the Shawnee-Mission North Indians!